There is always a special feeling in the cinema when the movie trailers finish and the film starts. It is the moment which makes the cinema experience always more superior than the Blue Ray one, even on a big home screen with a Dolby Home audio array. Cinema is just more heightened, and makes a film harder to review. Separate the experience from the facts. The emotion you get when a Blockbuster arrives are even more integral to the enjoyment if the film in question has a great legacy; Indiana Jones/Star Wars/Terminator; and never greater than demonstrated here, on the occasion as the 23rd installment of the Bond canon “SKYFALL”. It is a strange situation to be in with a Bond film where the plot is important. It is a good situation when the plot is important. I would say that of all of the Daniel Craig era, never has plot been so important as in Skyfall. So this film review will not contain the dreaded “spoilers” - don’t worry read on not at your peril. Lets hit some highlights before the conclusions. We have a Bond who is definitely suffering from the previous two films, and the tole taken, is clear to see. The reboot button that was pressed in Casino Royale, is still moving, and although the film stands alone as promised, there is a subtle but obvious continuity from the two previous outings, that help set up a lovely legacy for film fans to follow. It is hard to know how long this Daniel Craig's incarnation has been helping his government from his “double o” status first being granted in Casino Royale, but here we see an experienced Bond. 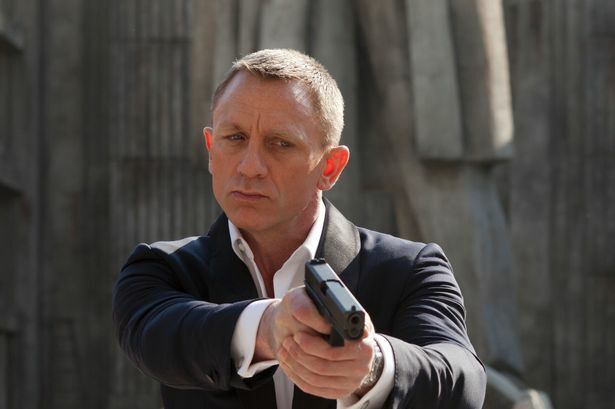 Daniel Craig has not been better than this, certainly cinematicly, and who would have thought it in a Bond film! His performance as Bond is the most Fleming like I have seen and the Mendes direction allows that to work in a modern setting. 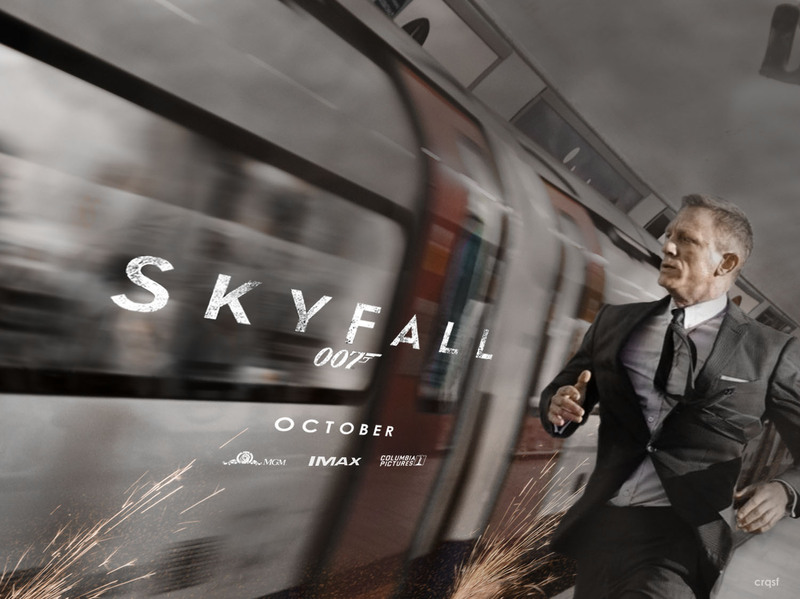 The action looks real and dangerous, and the usual Bond trope scenes are played with actual meaning. Think Dalton but better (and I am a fan of Dalton to). We have a villain who is intimidating and relentless, but again paved with the realism (really is) in both the motive and skill, that a modern audience require. His portrayal is strong enough to be award nominated, and is very clever in conception; being gritty and intimidating. Imagine the Joker from Nolan's batman, and the image is clearer than Dr No or Goldfinger. Dame Judi Dench is fantastic and probably the best Bond girl ever! The major reciprocation of decisions made by the head of MI6 are analysed on all levels, and Dame Judi was obviously enthralled at her slightly expanded role, nearly stealing all of her scenes. The reintroduction of classic elements, such as “Q” the “Aston” and a “Gadget” are all very good, and the first sign perhaps that the films will become more traditional moving forward. However the Broccoli’s understand about evolution of cinema, and I cannot help think that this approach will help them carry on the series for another 50 years. Like I said no plot points, go and see the film cold, then let me know if you agree. I don't need to say anything else, action, plot, twists, thrills and surprises, from a 50 year old franchise. Perfect for fans of cinema, not just Bond. Usually the regional movies are remade from English movies with necessary spices to meet the audience. In this movie, i felt most of the scenes were remade from regional movies with 007 tag in it. I would say the 007 flavor is missing in fact after the dusk of Brosnan. Eager to see the 007 with Guns,Girls and Martini - in style.